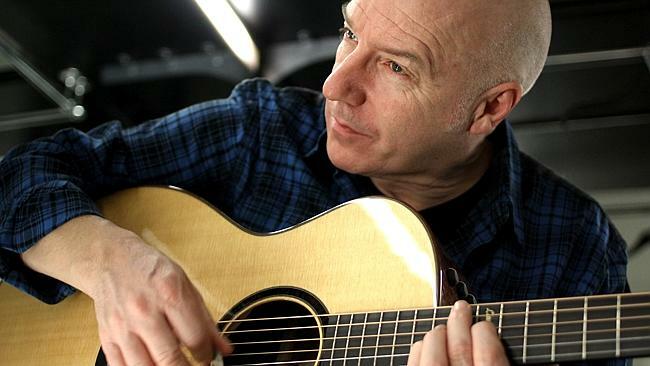 Solo tour … Midge Ure has reinterpreted his most famous songs for world acoustic tour. Picture: Supplied. A SOLO tour for a famous rock star is rarely without an entourage. A tour manager, security and technical crew would be the bare minimum a popular musician would engage to accompany him on the road. 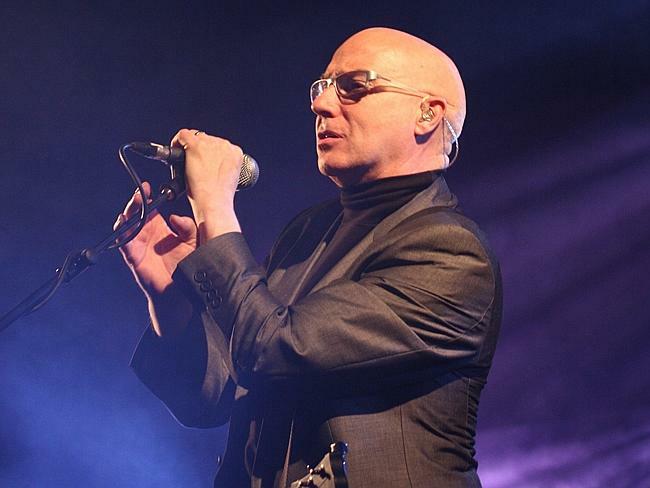 But not Midge Ure for his solo tour. The former Visage and Ultravox frontman, the man partly responsible for one of the biggest charity hits in history — Do They Know It’s Christmas? — is travelling the world alone. He is also booking his own flights and hotels, lugging his own baggage and instruments and driving his own hire cars. Before you jump to any conclusions about his sanity or financial health, there is a method to Ure’s madness. He has become a regular guest lecturer at Paul McCartney’s Liverpool Institute for Performing Arts and other “fame” schools and decided he better be telling it like it is to the starry-eyed students. Talking about his experiences of the music industry as a recording artist would be irrelevant to these millennials because “there isn’t an industry anymore”. “They aren’t going to walk out of college with a piece of paper and get a five-album deal,” he says. Further fearing graduates would be well-skilled in the songwriting and production departments but not in the realities of the touring musician, Ure decided to give himself a crash course in Gigs 101. 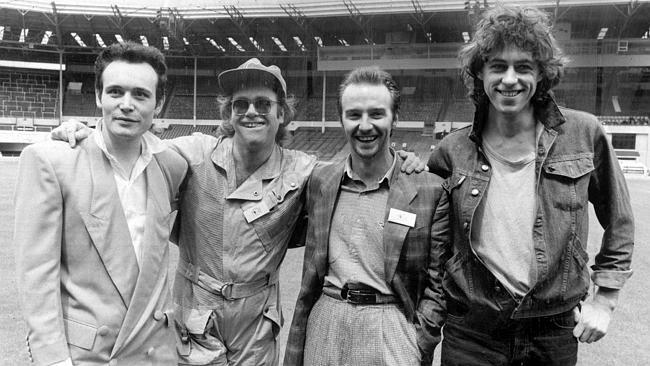 Charity legend … Adam Ant and Elton John with Live Aid bosses Midge Ure and Bob Geldof. Picture: Supplied. He didn’t have to do it — he has people. “Yeah maybe I could have made it up and sat at home in bath, got on the internet and blogged about how tough it was in Arizona,” he says, laughing. Instead, he got on the internet in his home in bath and searched for cheap flights and car rental deals for his Fragile Troubadour tour of America last month. He filmed the experience for a documentary which one senses will eventually screen beyond his college classes. “I am quite good at spending time on my own. And I quite enjoyed the process of doing this. Maybe if I had to do it, it might not have been fun,” he says. “I didn’t leave things to chance — I can’t stand that sensation of the mad panic so I would get to the airport two hours before. Organiser … Ure planned everything precisely to avoid any mad panic. Picture: Supplied. 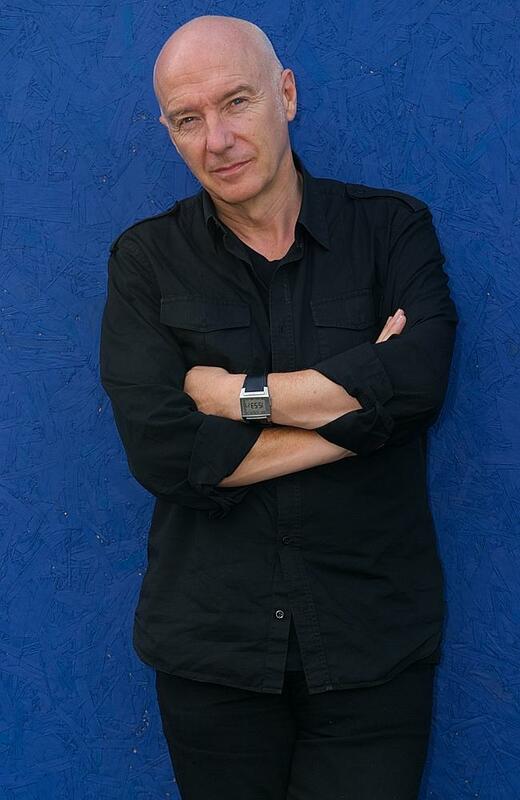 While his DIY solo tour doco will no doubt prove educational for future students, it is likely they will also be keen to hear the untold stories from a man who has enjoyed an illustrious career from co-founding Visage in the late 1970s, playing with Thin Lizzy, creating Ultravox, co-writing that charity hit and right up to releasing his latest solo record Fragile last year. His current world tour draws from his entire repertoire and the Scottish musician and writer said the acoustic show allows him the flexibility to play any one of 100 songs as it occurs to me, or the audience demands. Considering much of his early work was of a pioneering electronica nature, you can’t help but wonder how Fade To Cry or the epic Vienna are reimagined as acoustic pieces. Ure said it took much trial and error to figure it out. I was doing a tour in America many years ago, it was four singer songwriters and all the way across America I kept being told I needed to do Vienna,” he says. “But I didn’t know how to go about it, I couldn’t get out of the arrangement, the heartbeat and the bass drum and the viola. I tried it but it was pretty ropey. Another of his hits, Do The Know It’s Christmas? got a reworking last year to raise funds to fight the ebola crisis in Africa. Ure laughs when asked if he had any diplomatic missions in a room which included ex-boyfriends and girlfriends and chart competitors. But he did have to soothe some nerves when the song’s younger contributors found out all some of their pre-recording research was redundant as he had tweaked some lyrics. All of the hysteria around the recording paled when he scored Father Of The Year points introducing his daughters to their favourite pop star Ed Sheeran. 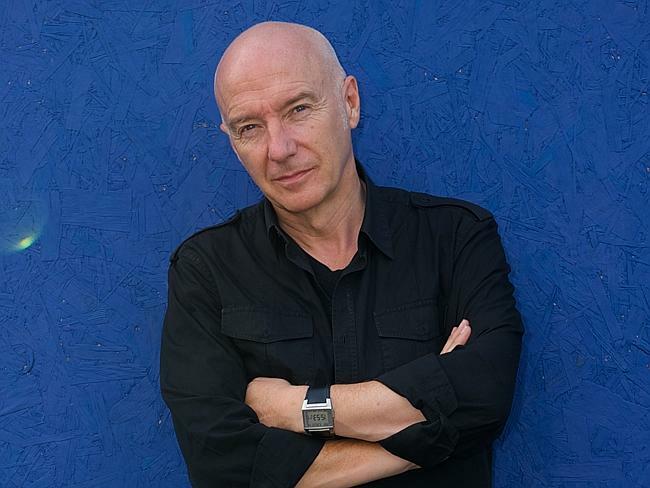 * Midge Ure performs at The Basement on April 12 and Lizottes, Newcastle on April 15.